According to the official statistics provided by seguridadjusticiaypaz, Los Cabos is the most dangerous city in the world as the murder rate has been found out to be 111.33 per 100,000 population as per the studies of the year 2017. The crime rate has massively increased in the city over the last years, and the name of the city often shows up in the news alerts and crime reports. In the years 2017 and 2018, the resort town was in the news several times because of a chain of shocking murders. Drug trafficking has been increasing rapidly, and most of the crimes committed in the city are related to drug-related issues, trading conflicts and other fights between drug cartels. 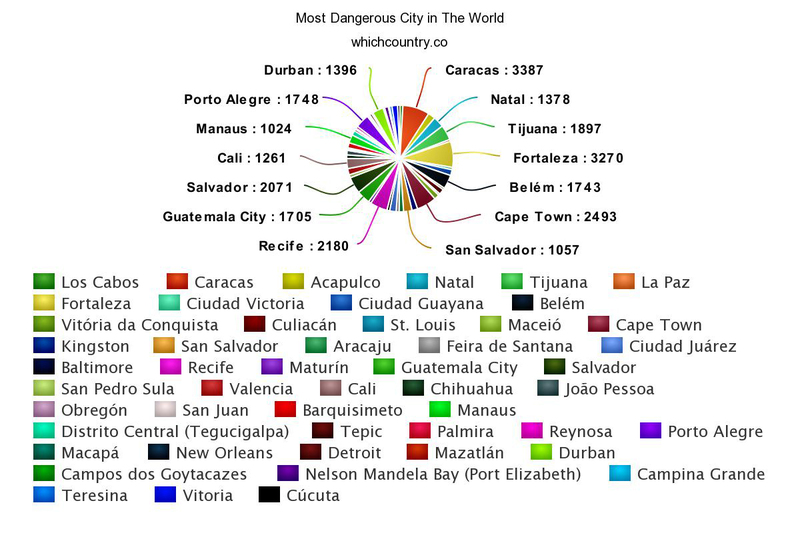 Although the tourists are not targeted as they have nothing to do with the drug-related issues but the crime rate is so drastic that the city has secured the first spot in the list of cities with most crime rates, and that is the reason why this city of Mexico is considered to be the most dangerous in the world. The increased violence rate in the Los Cabinos is basically related to the arrest of Drug lord Joaquib Guzman a.k.a. El Chapo back in 2016. The year 2017 was a nightmare for the city as the violence also targeted the most popular tourist attractions. In Cancun, some gunmen opened up fire at a nightclub, and the police found out six bodies hanging from the bridges on the famous highways of Los Cabos. Looking down at the list, Caracas (Venezuela) comes on the second spot of cities with most murder rate and so it’s known to be the second most dangerous city in the world. 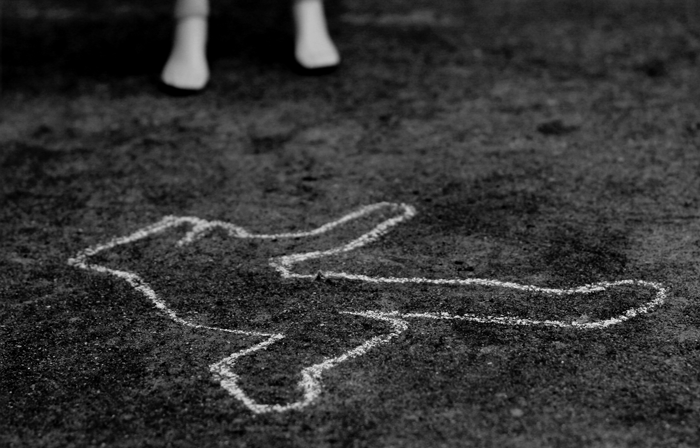 The murder rate of the city is somewhat close to that of Mexico as about 111.19 people out of 100,000 are killed. Caracas was on the top of the list before, but in the past few years, Los Cabos has secured its spot, placing Caracas on second place. United Nations stated that this drastically increasing crime rate in the country is because of the poor political and economic environment in the country and due to poverty and irregular distribution of wealth, robbery, snatching and other pity thefts are common in here and adding to that the military has given an official order for the public that people should avoid going to public places at night as the people are often robbed, and their valuables are stole. 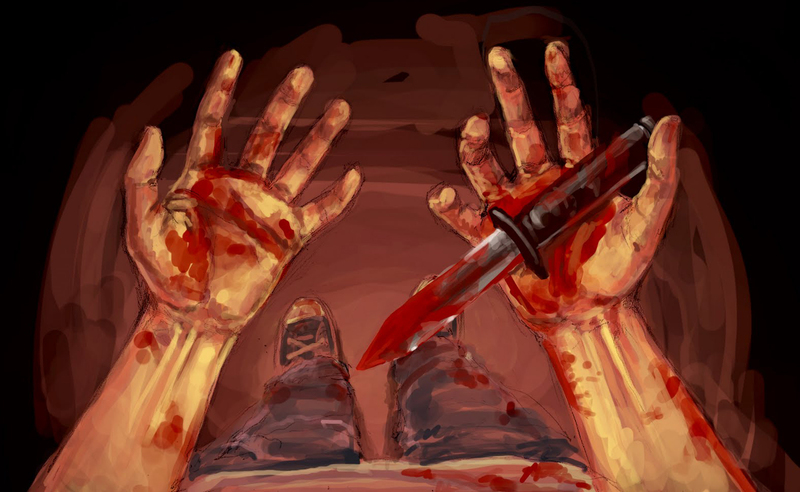 The robbers and snatchers usually follow the kill first steal later method, and that’s why the murder rate is way too much. But according to the oppositions state that NGOs exaggerate the crime rate, and they manipulate the statistics. The crime rate increased drastically in the leadership of Hugo Chavez because of his mismanagement that caused institutional instability. The police is also not appropriately funded, and that’s why the crime rate has increased because the police department cannot work properly as it lacks funding from the government. Afterward, when Chavez died back in 2013, the country was considered as the most insecure nation in the world as stated by Gallup. Chavez’s successor took over after his death, and he ran the country with the same policies as Chavez, and the socioeconomic status of the country was massively affected. Petty thefts are way too much in the country is the amount of organized crime is not too much. But the homicide rate has skyrocketed in the past few years. Contrary to the danger there are some other cities in the world that are safe to reside. Tokyo, Japan is the safest city in the world according to Safe Cities Index 2017 provided by The Economist with an overall score of 89.8. There are many reasons for Tokyo being the safest and the major one is that the digital security is way too efficient out there are the systems are less centralized which in terms decreases the vulnerability of the systems. Adding to that the violence rates are low as everyone follows the rules and there is the spirit to maintain the harmony of the country. Tokyo has laid a significant focus on the security of females. Most of the hotels provide women-only floors to offer more safety and comfort. Adding to that the healthcare facilities are efficient and the city has the latest medical treatment and diagnosis technology. The food standards are extremely high to ensure the health and hygiene.